The third round of Brexit talks, which come to a close on Thursday, have been marked by insults and acrimony between the two negotiating sides. 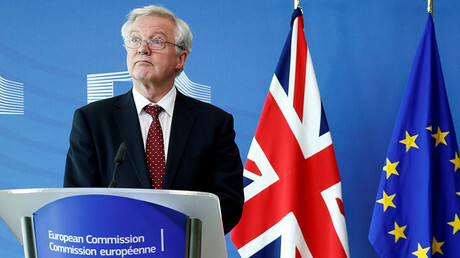 The EU has accused Britain of being ill-prepared, ambiguous in its position, and not taking negotiations seriously, while the UK has warned it could simply walk away if the EU does not show some flexibility. From the outside, talks appear deadlocked, with the UK and EU failing to make progress in any of the key areas. Intense conversations on Tuesday and Wednesday underlined how the biggest stumbling block is the UK’s financial liabilities, or “divorce bill,” with Britain and the EU opposed over how to calculate the settlement. Other issues, including whether Britons will keep their European Health Insurance Cards and what happens to the movement of British goods immediately after Brexit, are also believed to be causing difficulty. The limited progress of the latest round of talks comes amid ramped up criticism of Britain by the EU. Juncker said there were still an “enormous” number of issues to be settled. He says the bloc had received “no definitive response” on the Ireland issue, citizens’ rights, or the divorce bill. “I would like to be clear that I did read with the requisite intention all the papers produced by Her Majesty’s government and none of those is actually satisfactory,” he said. EU Chief Brexit Negotiator Michel Barnier urged Britain to start “negotiating seriously” as the stand-off over the divorce bill intensified. On Tuesday, Barnier voiced frustration at the government’s “ambiguity” over its financial liabilities, warning that “time is passing quickly” before the Article 50 deadline. UK Prime Minister Theresa May hit back at Brussels chiefs for not coming up with ideas about how to resolve Brexit problems. Meanwhile, it has been reported that May is looking to bypass Brussels and go straight to EU leaders to encourage them to get talks on a post-Brexit trade deal started. The UK has told EU negotiators their sums on the Brexit bill do not add up. While the EU accused Britain of failing to reveal its hand on the financial settlement, UK officials said the EU’s claims for money had no legal basis. British negotiators reportedly fumed at suggestions they were not serious about negotiations. 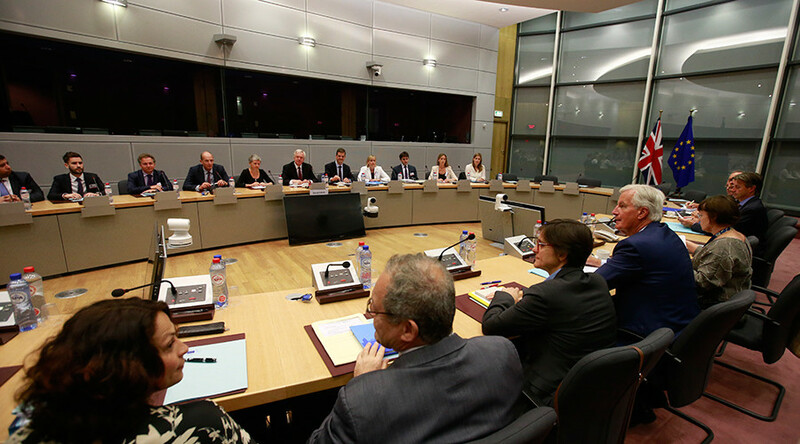 Over a three-hour PowerPoint presentation, British officials picked apart the EU claims over liabilities. “The UK has made it clear that it finds the EU position paper on the money unsatisfactory, and nobody would sign a cheque on the basis of the commission’s paper,” a source told the Guardian. European Parliament President Antonio Tajani has joined a long list of EU officials criticizing Britain for causing “uncertainty” for citizens, piling pressure on London to put forward clearer positions. He voiced his concern that “real progress” was not being made in Brexit negotiations.